The WS2 Wedge has evolved. It features a New Milled Cut Groove, which has more grooves than its predecessor, for higher levels of spin performance. Combined with the thicker blade top and higher centre of gravity, the WS2 Wedge delivers more spin to give you complete control around green. 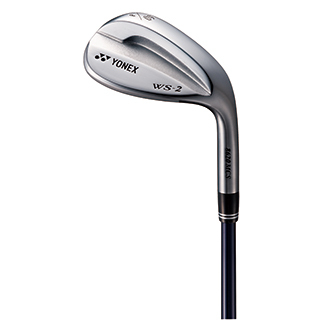 CUSTOM SHAFT OPTIONS: The YONEX WS-2 Series Wedge comes equipped with a True Temper Dynamic Gold S300 steel shaft.